From left, Noemi Molina, 8, Jay Molina, 5 and Jesse Molina, 8 smile after receiving a new backpack for the new school year. SAN JUAN — Tax-free weekend begins today, but several students got a head start during San Juan’s National Night Out at Mayfield Park. 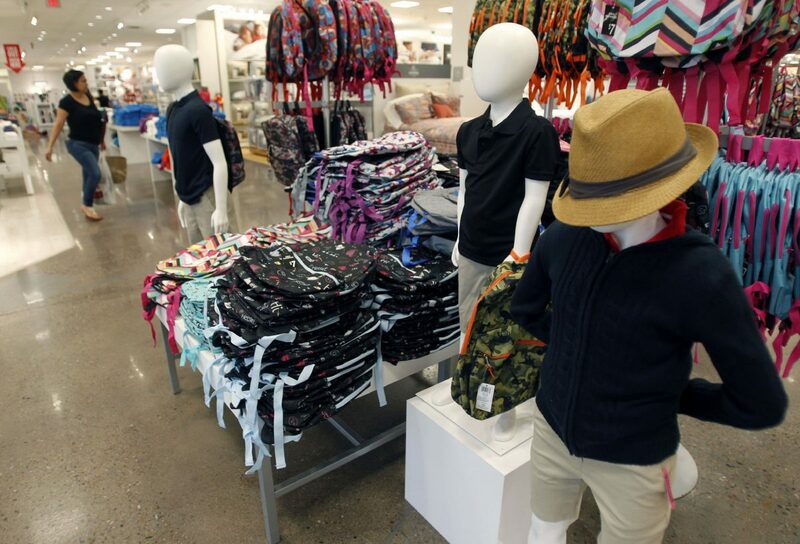 Usually held the first weekend of August, the yearly event that eliminates sales tax on qualifying school items such as clothing, shoes, backpacks and other items that are priced $100 or less, has been moved this year to the second weekend. Jorge Zambrano, a personal injury lawyer who practices in McAllen always wanted to give back to his community and not only took advantage of the date change but teamed with the San Juan National Night Out. Zambrano is also the creator of the “Shoot for the Stars Foundation,” a nonprofit organization to help meet the needs of students from the Pharr-San Juan-Alamo area. 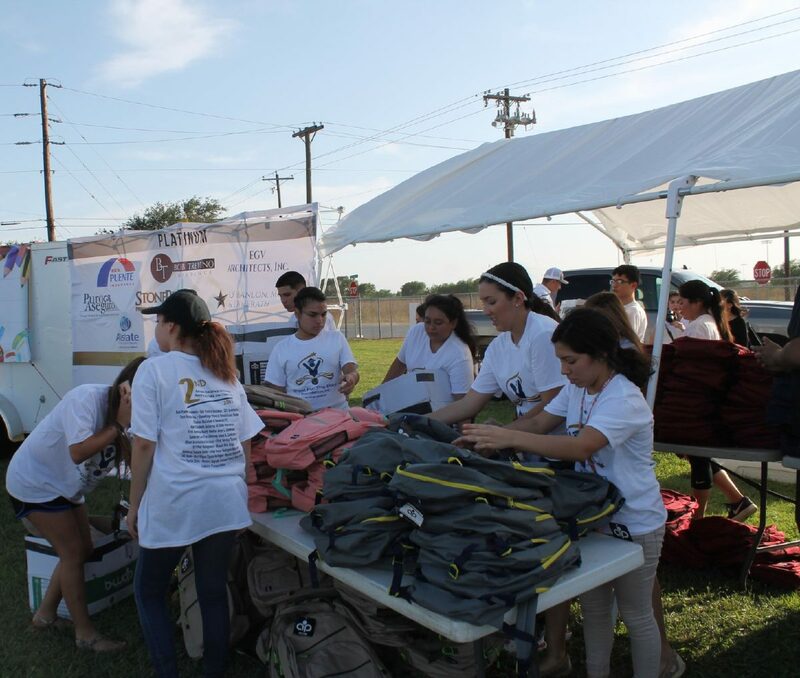 PSJA North students place backpacks on tables for distribution during San Juan Night Out at Mayfield Park baseball field. Last year, Zambrano and the foundation handed out 100 backpacks. This year nearly 500 backpacks were given to students. The backpacks included many school-supply list essentials like binders, notebooks, composition books, pens pencils and crayons for primary and secondary students within the PSJA school district. Approximately 40 students from PSJA North volunteered, giving out the backpacks to the children including sisters Kasandra and Krystal Elizondo, who are both on student council and always help out the community by assisting in various projects. “Helping other people is great. When we’re in need, there’s other people to help us, and it’s giving back to the community in various ways.” the sisters said jointly. As part of the giveaway, families were entered in a raffle to receive a 32-inch television. 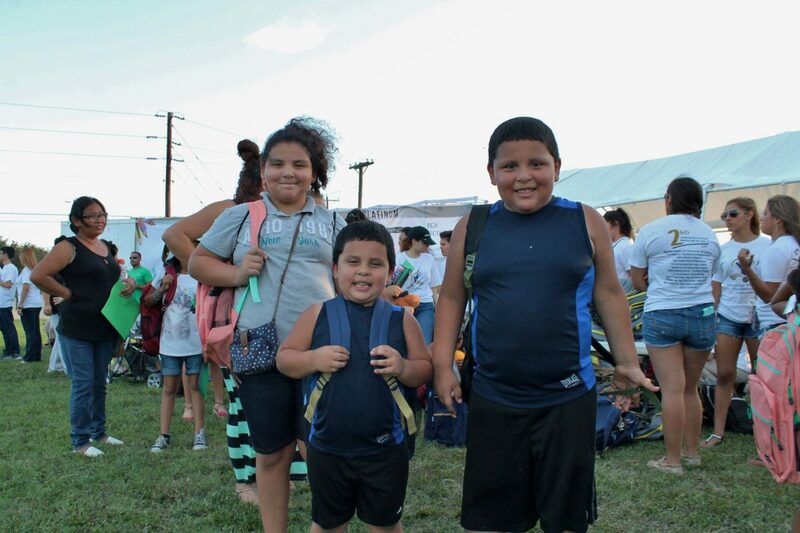 Pharr residents, Joaquin and Nadia Torres attended the giveaway with their five children to receive the backpacks and enjoy a family night altogether. Another Pharr resident, Rosie Ibarra also attended the giveaway with her three children and said that the event is awesome. “This event is good, especially for a lot of kids, who can’t afford the supplies.” Ibarra said. For families that will be shopping this weekend to file out their rest of their school supply lists, they can save about $8 for every $100 they spend. Some stores have also extended hours this weekend, such as JC Penney which will be open until 10 p.m. Friday and Saturday. 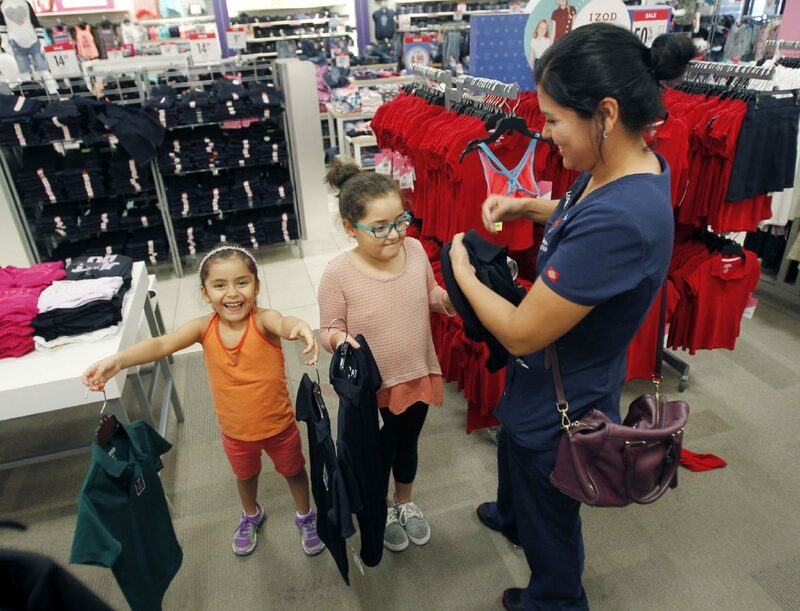 In addition, for each pack of kids’ socks or underwear sold through Aug. 15, JC Penney will donate a pack to to help kids in need— up to 750,000 pairs.